Enjoy the comforts of 6 De Luxe Rooms with a mixture of colonial and modern decor with the latest amenities. 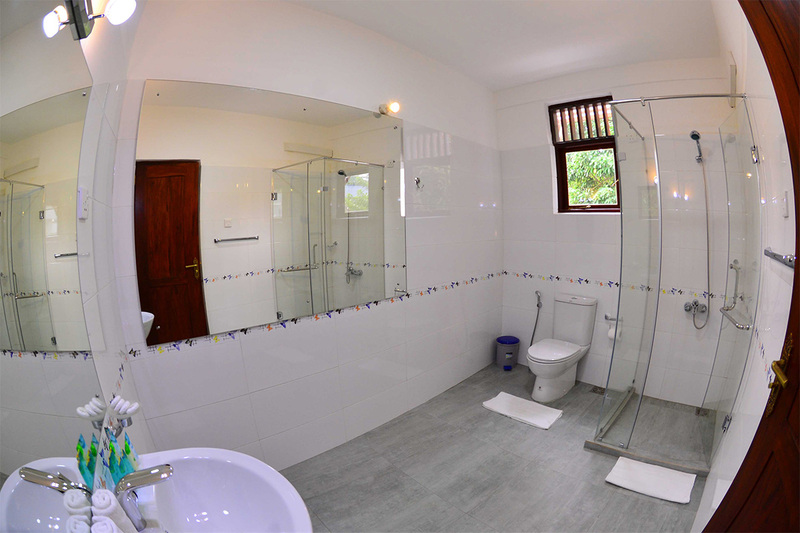 All rooms have attached bathrooms and air conditioning.. 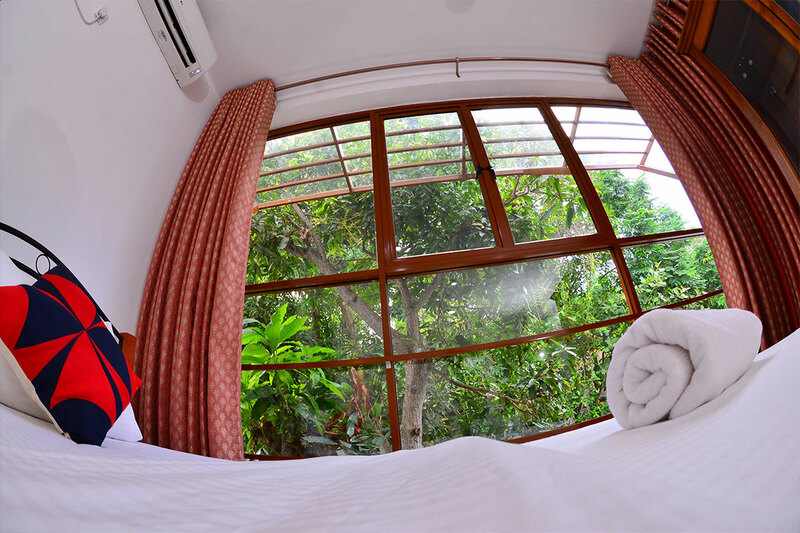 The Teak room is a large double room located downstairs and is convenient for the elderly. 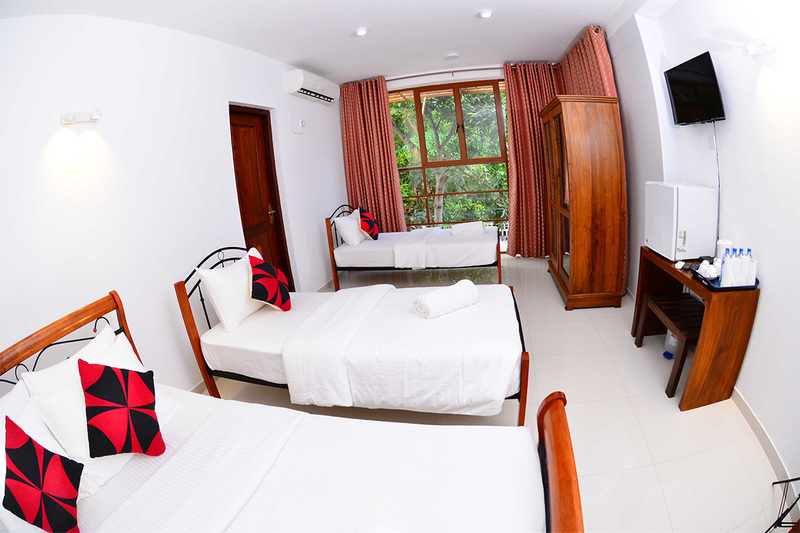 The Mahogany and Kohomba rooms are both large triple rooms ideal for a small family. The standard Oak room is a double room suited for a couple. 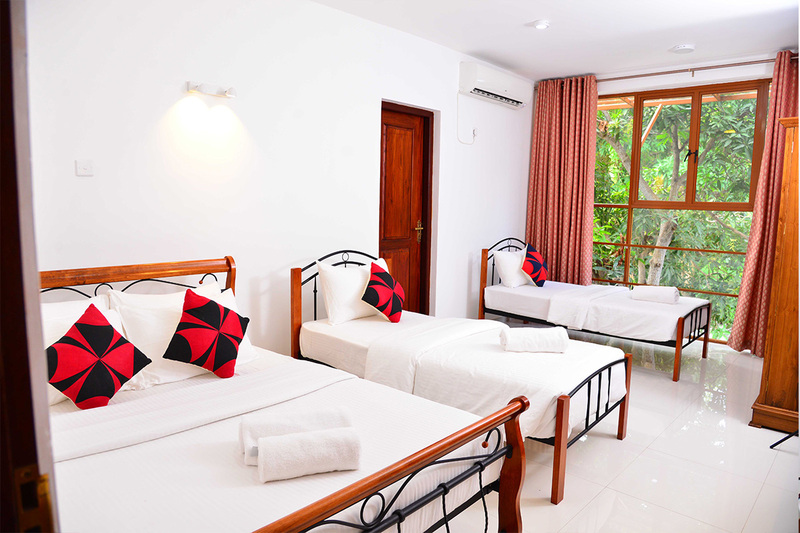 The Pine twin room is great for two friends sharing. The Family Four room easily sleeps four persons and the mixed bunk bed Dormitory can house ten budget travelers comfortably. The Gym has a multi gym work out machine with additional electric walkers and electric Nordic cycles with in built electronic monitoring of calorie burning, distance travelled, time lapse and speed rates. A simple work out will keep you trim and fit for that perfect look for sun bathing on the beach ! Access is free for our guests over 15 (16 and +) years of age. The age limit is placed for your safety and well being. Please note that we do not serve liquor for sale.